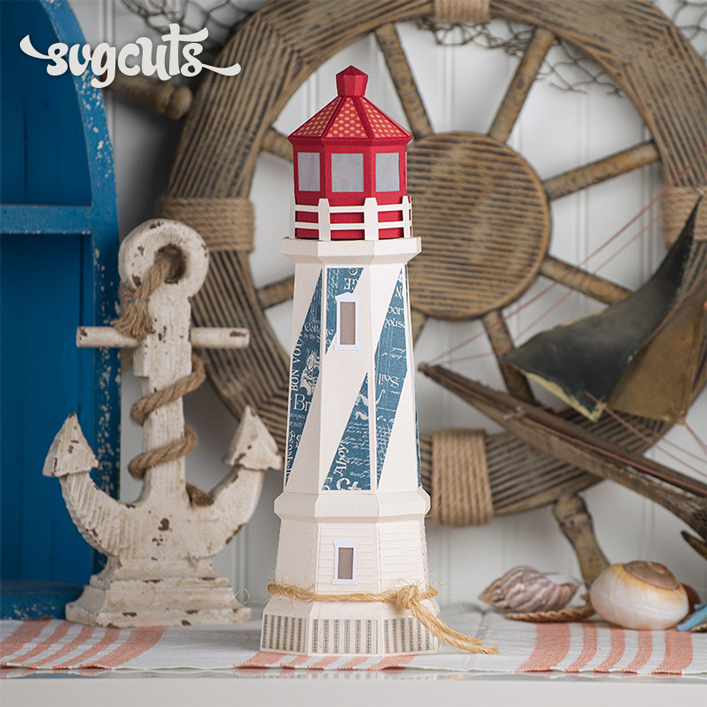 Create elegant pieces of decor and gifts with your very own creative touches! 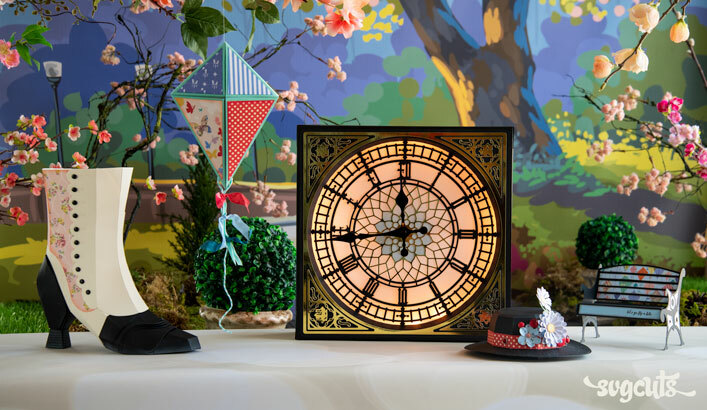 The Small Wall Clock is amazingly easy to create. If you've never worked with a clock movement kit from the craft store, you're in for a surprise at how quick and simple it is! 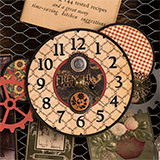 You can make the clock with or without the gears and circles behind it and you can give it a plethora of different looks and themes! 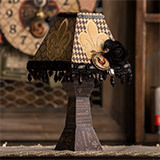 The Small Tabletop Lamp is quick to create and fun to decorate with trim and embellishments! Just grab your favorite elegant paper and go to town! The 8x8x3 Gift Box features one beautiful piece of 8x8 paper as part of the lid. Do you ever have a big piece of 8x8 paper from a pad that's just so gorgeous you don't even know what to do with it? 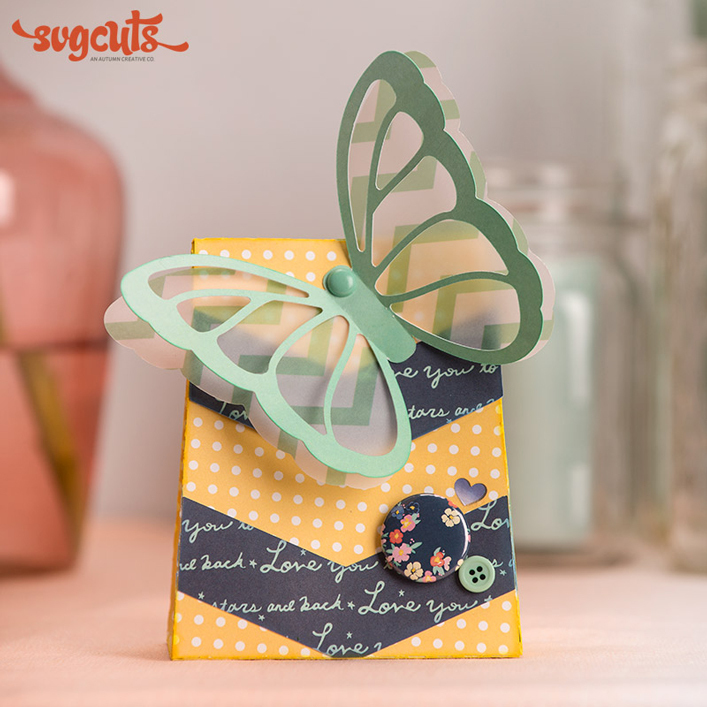 Show it off on a quick and gorgeous gift box to display, use, or give away! 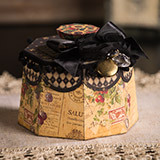 The Pretty Octagon Box shows off all your coordinating patterned papers and features a cute little knob on top. 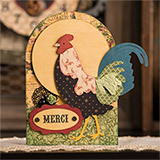 Finally, ceate a beautiful coordinating card featuring a gorgeous vintage-inspired rooster. You could also use the rooster separately on a completely different project! 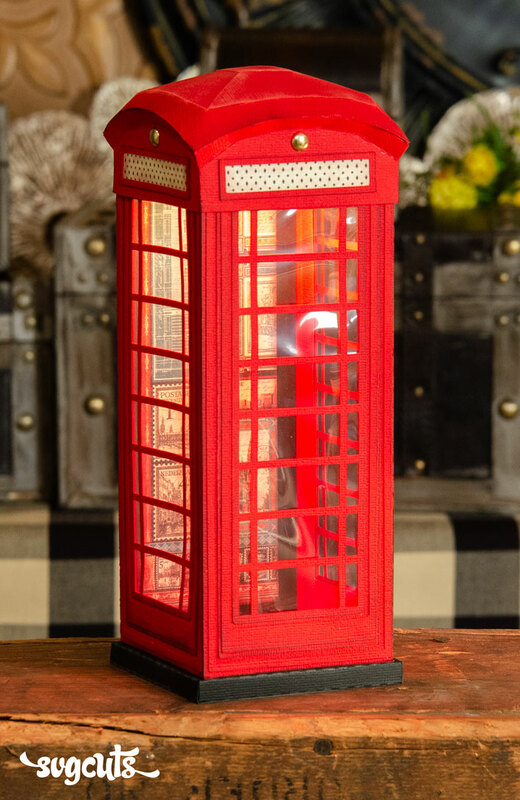 Each finished project measures as follows: Gift Box - 8 x 8 x 3", Pretty Octagon Box - four inches tall, Rooster Card - 5.7 x 7", Small Tabletop Lamp - 8.5" tall, Small Wall Clock - nine inches wide (or without the gears and circles it is 5.7 x 5.7"). SCAL2, SCAL3, ECAL, MTC, and Silhouette Studio Designer Edition. Everything can be made on any mat size, except for the Small Wall Clock, the 8x8x3 Gift Box and the card's envelope, which are all too large to fit on a 12x6 mat. 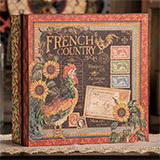 French Country by Graphic 45. Embossing folder used on rooster wing and octagon box lid is Snow Flowers by Sizzix. "Merci" stamp on Rooster Card is from the Thanks a Bunch stamp set by Hero Arts. 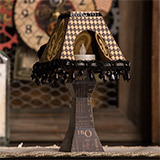 The clock uses one standard “clock movement kit for .25” surfaces" available at any craft store. The hole in the center of the clock project is a standard size and will fit your clock movement kit (which is about seven dollars and uses one AA battery). Artminds (from Michaels) and Walnut Hollow are recommended brands. The Small Tabletop Lamp uses one electronic LED tea-light candle (not a real candle).